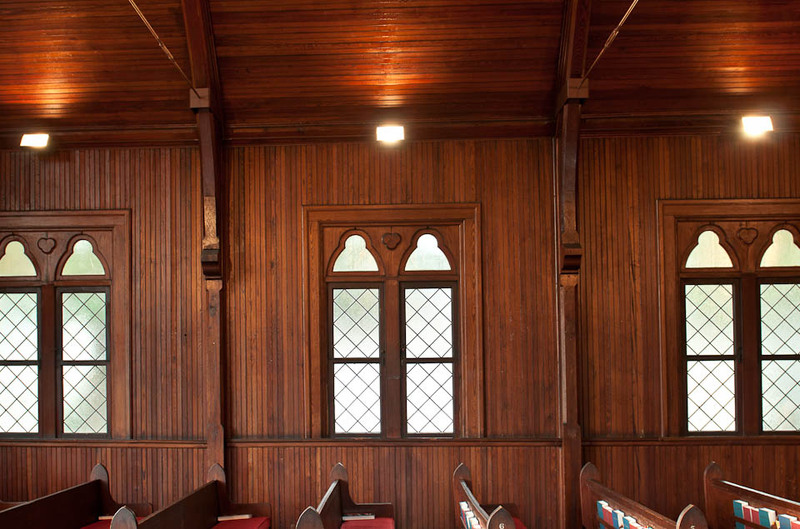 HISTORIC ST. CYPRIAN'S CHAPEL | Small, Intimate Church Weddings. 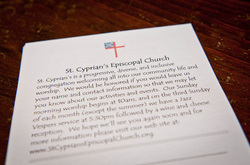 St. Cyprian's offers a variety of flexible options to couples preparing for their special day. 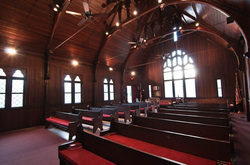 Our chapel is available for traditional and non-traditional church weddings, with or without our clergy. 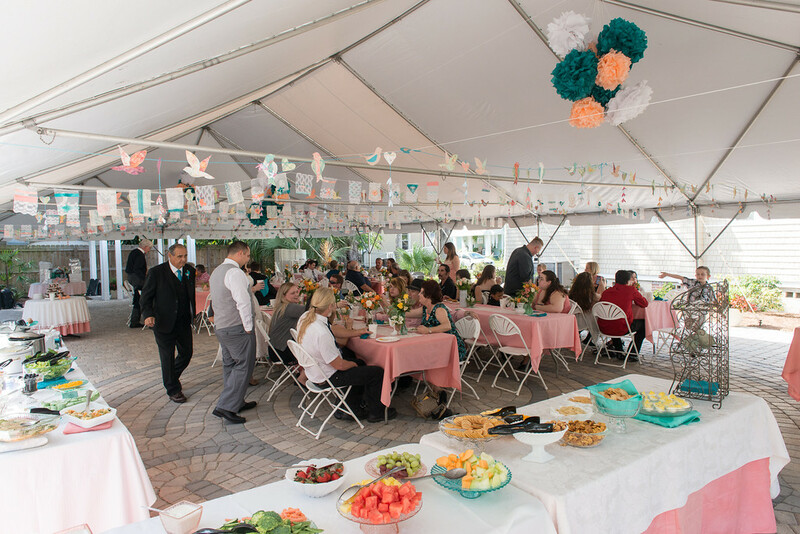 The Courtyard and Mission House, properties located adjacent to the sanctuary, are available as indoor or outdoor reception venues, if you wish to book them immediately following your ceremony. From coordinating the day's itinerary to assistance in finding the perfect local vendor, we invite you to contact us to discuss your big day. We're here to help. the ceremony. Fee includes time for a rehearsal, vendors access to the building, guest parking, and support from our on-site coordinator throughout the planning process. St. Cyprian's Mission House provides a small venue for indoor receptions with a maximum of 50 people (standing room only). Fee includes: access to kitchen for caterers, a restroom, guest parking and vendor access for planning, as needed. Please note this fee does not include linens or tables and chairs for your event. Our Church Courtyard, located just a few steps from the entrance to the Chapel, makes for a beautiful and convenient outdoor reception venue. 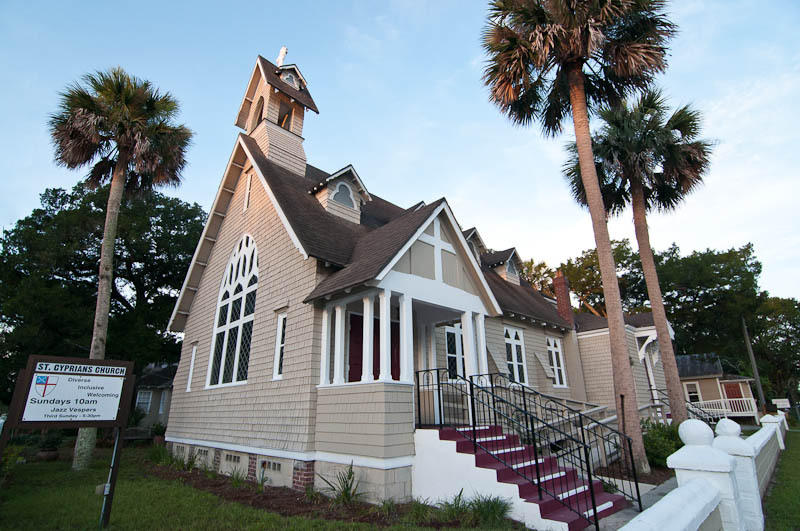 Rental fee includes: access to the Mission House Kitchen as a staging area for caterers, a restroom, guest parking and vendor access for planning, as needed. Please note this fee does not include tent rentals, event linens, or tables and chairs for your event. The layout of the pavered courtyard can accommodate a 30'x60' frame tent. St. Cyprian’s can provide an organist for your ceremony. Fees vary based on the type of music couples request and the number of songs chosen. The wedding rehearsal is included. 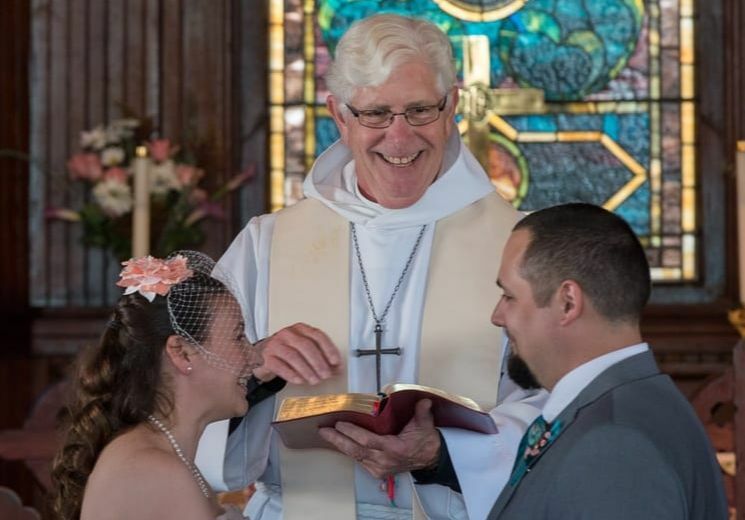 Under certain circumstances, our clergy may be available to perform a wedding ceremony. Fee includes time for a rehearsal, vendor access to the church, guest parking, and support from our on-site coordinator throughout the planning process. Additional fees for pre-marriage counseling may apply. 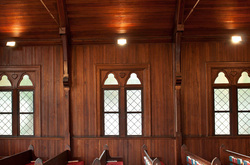 After clearing your date with the Facility Coordinator, a security deposit and signed rental agreement is required to reserve your wedding date at the church. All deposit funds will be applied to your total balance.